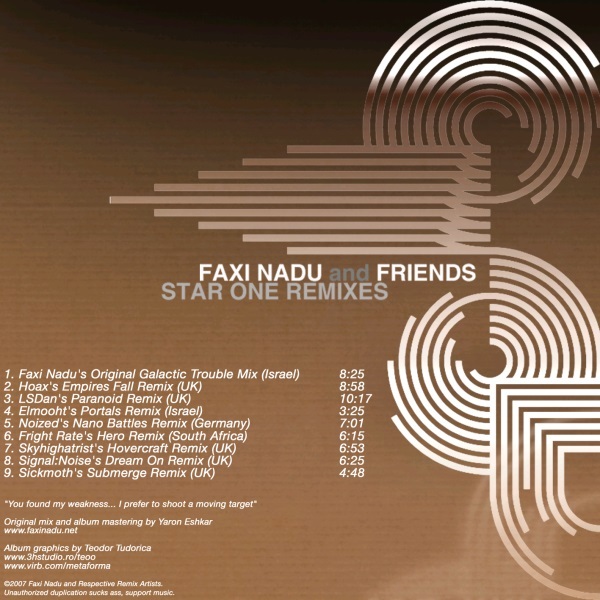 Star One is the second remix project to reach maturation on Faxi Island Records (Postunder Records outlet), after Second In Command in early 2007. 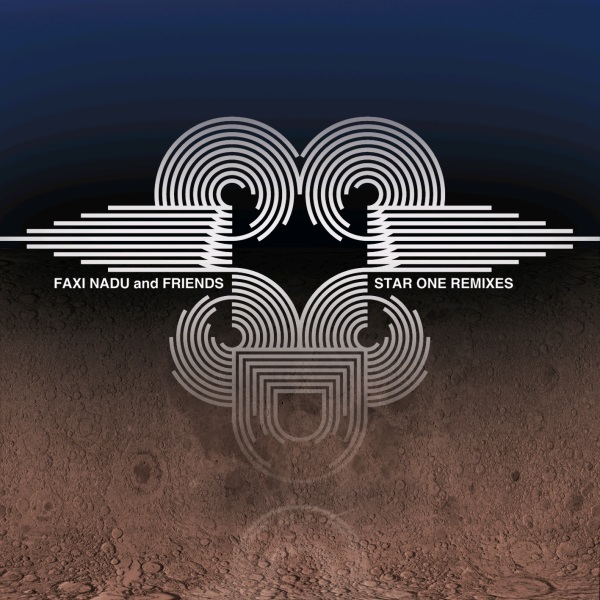 We present you with ten delicious remixes of Faxi’s original minimaltech/psy tune Star One. On this one We have got some returning names on Faxi Island – LSDan, Fright Rate and Elmooht – and a bunch of new names to our label. We believe this album is truley a journey, with each remix taking you to a different destination into each of the artist’s minds. From DJ Hoax’s pumping UK techno vibes, through the bouncy trippy take by Skyhighatrist, and the deep and dark version by Noized – each remix is a new world of sound and color. The project for the original tune was posted online, and artists could download the project and work thier own remix. The remixes were then collected, and it was decided that we will offer this album as cd and as a digital download.